Watch these videos to learn more about SiriusXM Aviation, and click on the YouTube icon below to see more videos on our YouTube Channel. From wheels up to wheels down, you’ll have superior graphical weather at your fingertips to maximize your situational awareness and comfort. 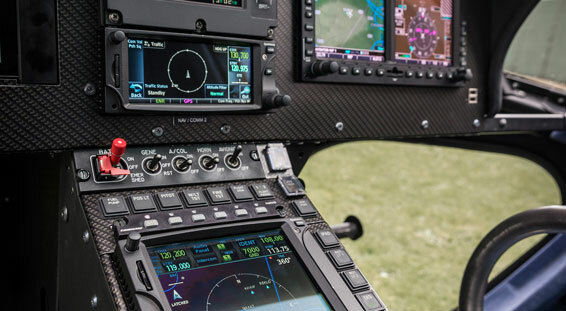 Whether you fly a Light Sport Aircraft at 1,500 feet, a Corporate Jet at FL450, or anything in between, SiriusXM lets you fly with confidence. 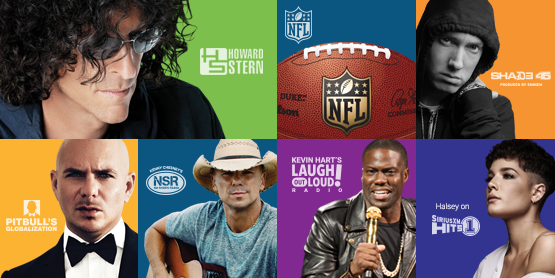 Plus, you can add on SiriusXM entertainment at a discount. 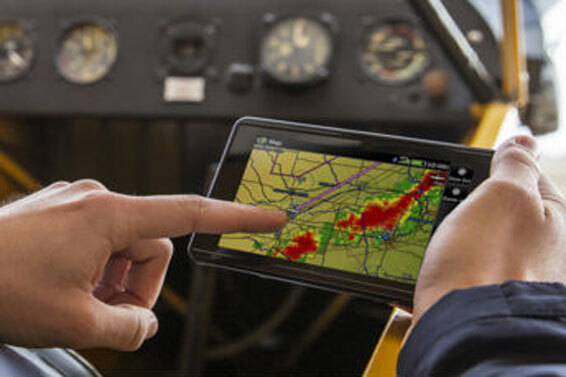 Choose satellite weather for twice-as-fast Composite Radar and Lightning plus exclusive features not found on the ground-based ADS-B system. The 2020 Mandate doesn’t require that you use ADS-B weather. Choose SiriusXM, ADS-B, or both! 1 The availability and display of service features and SiriusXM Audio varies by hardware provider. View Garmin GDL69/ 69A SXM feature compatibility. 2 ADS-B in (FIS-B)’s ground based signal coverage depends on plane position’s altitude, generally available only above 500’ AGL, or 2000’ on western states/mountain area. ADS-B has regional NEXRAD (150NM) in low altitude up to 3,000’MSL, and CONUS 15min update rate for plane fly above 3,000’MSL. FAA.gov reference: www.faa.gov/nextgen/programs/adsb/ICM. SiriusXM Aviation service covers all altitudes from taking off, cruising to landing. 4 SiriusXM Radio audio service sold separately and may be purchased for a reduced fee with a SiriusXM Aviation package. Essential weather information for all pilots. 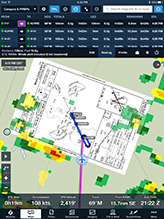 With U.S. radar extending into southern Canada, Cloud-to-Cloud and Cloud-to-Ground lightning, TAFs, METARs, weather observations and warnings, Pilot Express delivers the weather information every pilot uses. This is the only SiriusXM package compatible with the ForeFlight mobile app. Includes U.S. and Canadian Weather Radar; Cloud-to-Cloud and Cloud-to-Ground Lightning; TAFs and METARs; weather observations; graphical winds and temperatures aloft; Echo Tops; Cloud Tops; and other popular features. 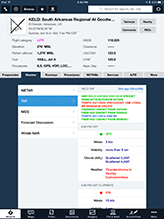 Includes every feature in Express and ForeFlight packages plus forecasts and weather observations; Hi-Res Graphical Forecast winds; Weather Map with surface features and Isobars, Surface Visibility, Freezing Level, and tropical storm tracking. 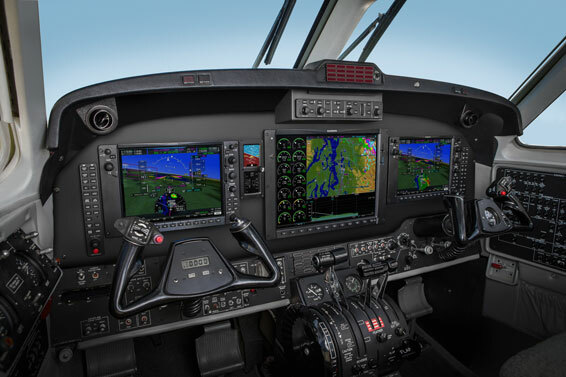 Includes every feature in the Preferred package plus features for more advanced pilots or longer flights including extended forecasts; 6 levels of graphical turbulence and Icing NOWcast. 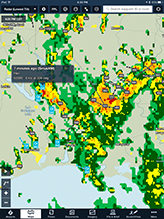 Pilot Pro is SiriusXM Aviation's most comprehensive aviation weather package. High-resolution reflectivity shows the maximum intensity of rain, snow, and mixed precipitation for all active radar tilts on each radar site. When compared with Base Reflectivity, the Composite Reflectivity can reveal important storm structure features and intensity trends. The image is color-coded to show a complete view of any precipitation. Rain is shown as light green, dark green, yellow, orange and red as intensity increases. Hail, freezing rain and snow are represented with colors from bright pink to blue. Product resolution is 2KM and is available over the Continental US. Updates every 2.5 minutes, twice as fast as ADS-B. Base reflectivity is taken from the lowest elevation radar scan (lowest tilt) and typically represents the intensity of precipitation (rain, snow, and mixed precipitation) that is reaching the surface. Most often, it is better for pilots flying below 10,000 feet. The image is color-coded to show a complete view of any precipitation. Rain is shown as light green, dark green, yellow, orange and red as intensity increases. Hail, freezing rain and snow are represented with colors from bright pink to blue. Product resolution is 2KM and is available over the Continental US, Canada except for the Pilot Express service tier, and portions of the Caribbean. Updates every 5 minutes. Storm Attributes show information on the severity of storms. The information is recorded by NEXRAD sites wherever there is heavy precipitation. Storm Attributes include the direction and speed of the storm over time, as well as the elevation of the top of the storm. Measured in 100s of feet, the value indicates the height of rain within the storm. The higher the values, the more intense a thunderstorm is likely to be. Additional information can be displayed, including mesocyclonic activity (MESO, a strong wind vortex), tornado activity (TVS), and the presence or possibility of hail. This feature is available over the Continental United States. Updates every 5 minutes. Temporary Flight Restriction (TFR) is a restriction on an area of airspace due to the movement of government VIPs, special events, natural disasters, or other unusual events. TFR reports have IDs, effective dates/times, geolocation information (including altitude), as well as the actual text of the restriction. The coverage areas for TFR reports include CONUS, AK, HI, PR, and GUAM. Updates every 5 minutes. The upper air wind grid provides both observed and forecasted upper level winds for each point in the grid. This product covers 3-hour forecast periods through 24 hours, from 5N to 62N and 130W to 65W. Updates every 30 mins. The upper air temperature grid provides observed and forecasted upper level temperatures for each point in the grid. This product covers 3-hour forecast periods through 24 hours, from 5N to 62N and 130W to 65W. Updates every 30 mins. AIRman's METeorological Information (AIRMETs) advises of weather that may be hazardous to single engine, light aircraft and Visual Flight Rule (VFR) pilots. This advisory affects an area of at least 3,000 square miles at any one time, and provides data on ceiling, obscuration and turbulence. AIRMETs are issued for IFR, Mountain Obscuration, Icing, Turbulence Aloft, Surface Turbulence, or High Surface Winds. AIRMETs are routinely issued for 6 hour periods beginning at 0245 UTC during Central Daylight Time and at 0145 UTC during Central Standard Time. AIRMETs are also amended as necessary due to changing weather conditions or issuance/cancellation of a SIGMET. Updates every 30 mins. Significant Meteorological Information (SIGMETs) advisories are issued when conditions affecting all aircraft have been detected or predicted. SIGMETs are issued for: Icing, Surface Turbulence, Aloft Turbulence, Visibility, Volcanic Eruptions, or Convective Activity. SIGMETs are issued for 6 hour periods for conditions associated with hurricanes, and 4 hours for all other events. If conditions persist beyond the forecast period, the SIGMET is updated and reissued. Advisories are provided for US, Canada, Mexico, and parts of the Caribbean. Updates every 30 mins. Pilot reported information (PIREPs) are observations of icing, turbulence, weather and sky cover fields made by an aircraft in flight. Each PIREP has an associated valid time, latitude, longitude and flight level from where the observations were taken. PIREPs can also contain other information such as tornadoes, funnel clouds, or waterspouts, as well as report the presence of hail or volcanic ash. Low level wind shear is also often reported by pilots, and typically include the airspeed fluctuations observed. Any fluctuation that is greater than 10kts will be represented as an Urgent PIREP. The geographic coverage area of this product is the rectangle from 62 degrees North latitude, -160 degrees West longitude to 5 degrees North latitude, -50 degrees West longitude. Updates every 15 mins. The High-Res wind feature displays surface wind conditions. The display can be set to show the current and most recent wind conditions, or to show the forecast up to 48 hours ahead depending on service level. This product covers 5N to 62N, and 130W to 65W. Updates every 20 mins. The Weather Map displays high ("H") and low ("L") pressure systems. Pressure is measured at the center of the system in millibars. The map also indicates cold and warm fronts, the front’s direction of movement, and Isobars (lines of equal pressure). It can be set to show the current conditions, or to show the forecast up to 48 hours ahead. The coverage area is 5N to 62N, and 130W to 65W. Updates every 20 mins. Radar Coverage indicates which radar sites are available. This is to be used along with radar data to determine where there is radar coverage available. For aviation displays, radar data cannot be output to the display until the corresponding coverage product has been received. Icing NOWcast depicts the current icing potential, Current Icing Severity (CIS) and Supercooled Large Droplet (SLD) across the continental U.S. SLD information is provided in terms of probability. It covers 16N to 54N, and 139W to 58W. Updates every 15 mins. METARs are the scheduled airport meteorological observations taken at the end of each hour. SPECI is an observation taken at an unscheduled time due to certain conditions such as low visibility, low clouds, frozen precipitation, or thunderstorms. TAF (Terminal Area Forecast) is the forecasted meteorological condition at an airport for the next 30 hours. In some locations, the projection is only for 24 hours. IFR (Instrument Flight Rules) includes ceilings less than 1,000 feet AGL and/or visibility 1 mile to less than 3 miles. LIFR (Low Instrument Flight Rules) includes ceilings below 500 feet AGL and/or visibility less than 1 mile. VFR (Visual Flight Rules) includes ceilings greater than 3,000 feet AGL and visibility greater than 5 miles. MVFR (Marginal Visual Flight Rules) includes ceilings between 1,000 to 3,000 feet AGL and/or visibility of 3 to 5 miles. This CONUS product covers 20N to 51N, and 132W to 65W. The Non-CONUS product covers 05N to 80N, and 179W to 50W. There is overlap between the two products. Updates every 10 mins. Satellite observation of clouds is represented as temperature data, where colder cloud tops are typically found at higher altitudes. This temperature data is transformed into cloud top height contours. The cloud top product indicates the height of the cloud top in levels with increments of 5000 ft., and covers the continental United States. Updates every 30 mins. Graphical depiction of radar indicates the maximum height of the NEXRAD reflectivity returns that are 18.5dBZ or higher. The product is used to identify the top of the storm where precipitation is light in intensity. It covers the continental United States. Updates every 5 mins. The Graphical Turbulence Guidance product is a model forecast of turbulence severity. The data is provided at flight levels FL180, FL210, FL240, FL270, FL300, FL330, FL360, and FL390 and indicates smooth, light, moderate, and severe turbulence. This product is updated hourly and covers 14N to 59N, and 140W to 56W. Updates every 30 mins. The Freezing Level product indicates the height at which the air temperature is at or below freezing. Freezing levels are contoured in increments of 100s of feet. This product covers 20N to 62N, and 130W to 65W. Updates every 30 mins. The Storm Tracks product provides the historical and forecasted positions of a tropical system, as well as their wind fields. Reports are available over the Atlantic and Eastern Pacific. Updates occur when the National Hurricane Center has identified and is tracking a tropical system. Updates every 5 mins. Surface Visibility Forecasts indicate areas where visibility is expected to be less than ten miles. Visibility is defined in quarter statute mile increments. Good visibility is considered to be ten miles or better. When the estimated visibility drops below ten miles, a contour line appears, separating areas with different levels of visibility. Product coverage is 20N to 62N, and 130W to 65W. Updates every 30 mins. SiriusXM satellite radio service provides access to over 150 channels including commercial-free music with exclusive performances and artist dedicated channels; plus coverage of every major sport and dedicated talk channels for all major professional sports, college sports and fantasy; the biggest names in entertainment and talk covering everything from comedy to politics and religion; and breaking news from the most trusted sources. SiriusXM Radio is an optional service with a discount applied automatically when it is added to an Aviation service subscription plan. 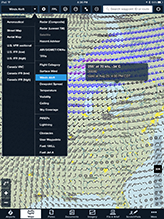 For Legacy XMWX products, view legacy XMWX Aviation data packages. TAFs, METARs, winds and more. It’s Easy to Add SiriusXM Aviation Weather to ForeFlight. 2. 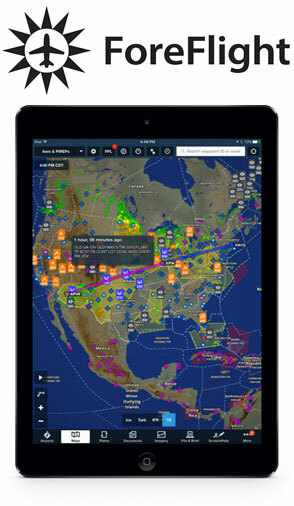 Download the latest version of the ForeFlight Mobile app. 3. 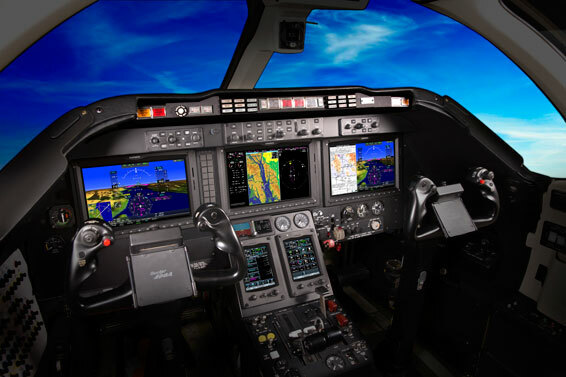 Choose the Pilot for ForeFlight Subscription Package. 4. 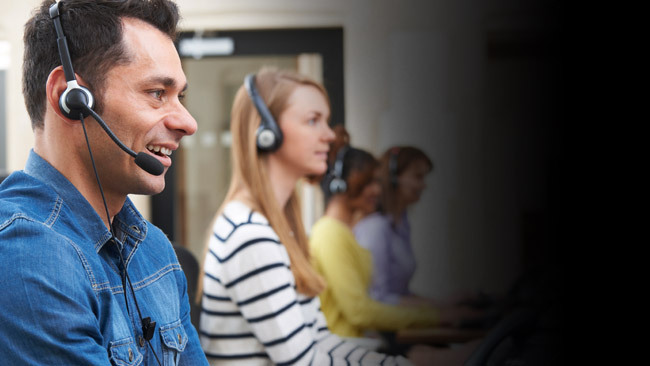 Activate Service Online or call 1-855-838-8563. See DETAILS below. Purchase any new eligible aviation satellite weather receiver from 1/1/2019-12/31/2019, activate it with any SiriusXM Aviation weather subscription package, maintain 60 days of continuous paid service and receive a $200 SiriusXM Rewards Visa® Prepaid Card. 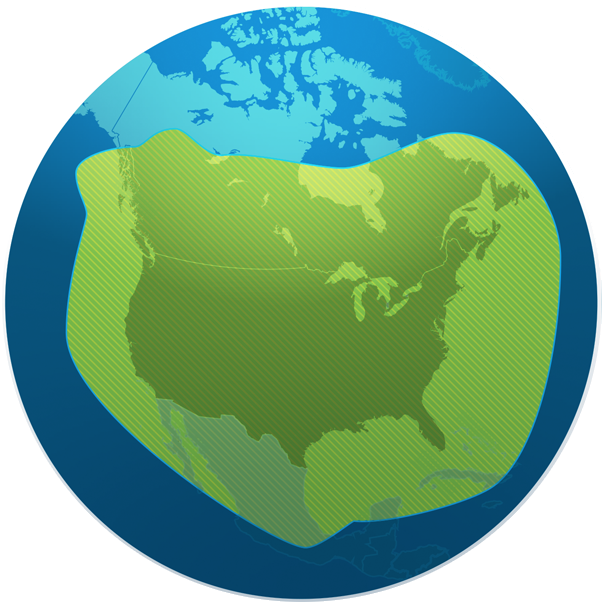 SiriusXM Aviation service is available in the continental United States, southern Canada and coastal regions. The green area on this map is an approximation of our satellite coverage area. Satellite signal strength at border regions may be limited. DETAILS: The SiriusXM Aviation subscription plan you choose will automatically renew thereafter and you will be charged according to your chosen payment method at then-current rates. Fees and taxes apply. Please see our Customer Agreement for complete terms and how to cancel, which includes calling us at 1-800-985-9200. All fees, content, and programming are subject to change. 2 The availability and display of service features and SiriusXM Audio varies by hardware provider. 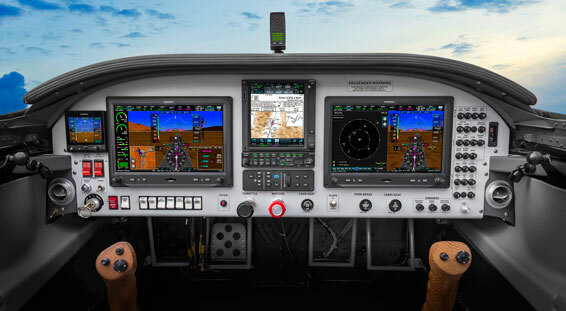 View Garmin GDL69/ 69A SXM feature compatibility. 3 Pilot for ForeFlight subscription package is the only service level available for ForeFlight users. 4 SiriusXM Satellite Radio audio service sold separately. Satellite Radio may be purchased for a reduced fee with SiriusXM Aviation package. Audio activation fee is $15 if activated separately from SiriusXM Aviation.